cuirassed bust, in paludamentum, right. ASIS in Exergue, N in center field. Two Victories standing facing one another, each holding wreath and palm. 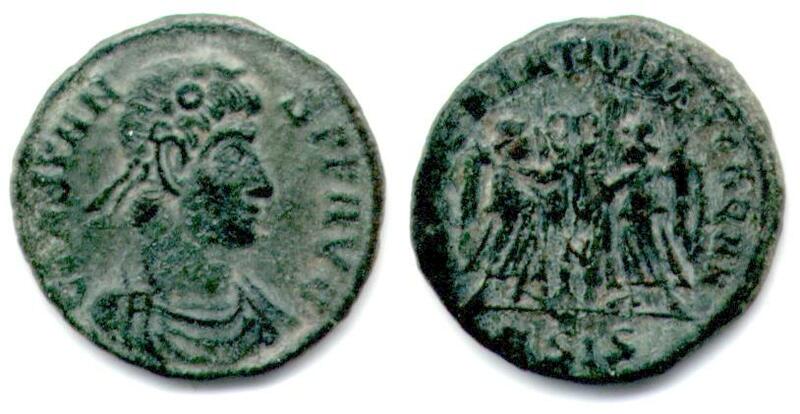 Minted at officina A in Siscia (Sisak, Croatia) in 347 or 348 A.D.